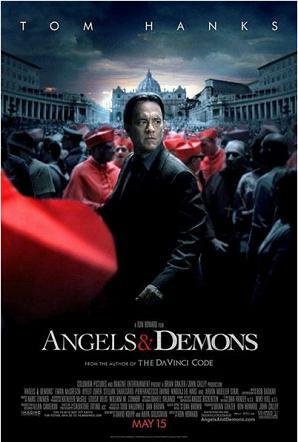 Based on the book that precedes The DaVinci Code this film follows Robert Langdon as he tries to sort out an evil plot that involves the kidnap and murder of four Cardinals and plot to blow up the Vatican via an anti matter explosion. Once more Langdon has scant hours to unlock the secrets of the mystery and save the lives of the people in Rome. I really disliked the Da Vinci Code. I found it slow and dull and very silly. This is a better movie that is fast paced, occasionally exciting and very silly. That said its a reasonably enjoyable film.I know that may shock you but there is enough to the story that you may very well get hooked into the tale. Certainly most of the set pieces work unto themselves (with the exception of the incident with the cops and the fountain). There are some incredibly beautiful images (the nature of which I dare not reveal lest I reveal plot points). When the film works and you manage not to think about how dumb much of plot is its actually worth a bucket of popcorn. I and my dad both enjoyed the film on a pure entertainment level. That said I didn't need to pay 11 bucks to see this and think either DVD or cable is the way to go.